In the city center there are several places to park your car. Parking is possible along the canals at the single spots for example, but we highly recommend not to. If you do, always pay in advance at the nearest parking meter (place the ticket behind the windshield of your car). It is quite expensive (around € 5.00 an hour) and not to mention that it requires some good driving qualities. Coming to Amsterdam, you will find information boards above roads providing you current information about free parking spaces throughout the city. There are several large car parks throughout the city. Entering one of the car parks, information boards show you how many free spots there are left at that current time. Please note that parking in Amsterdam is very expensive in parking garages as well. 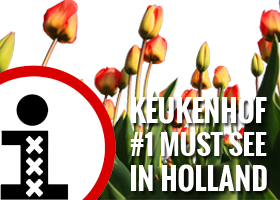 Nevertheless, the best and cheapest way to park your car in Amsterdam is by using the so called P+R (park & ride) spots located on the outskirts of the city and then continue your trip easily by public transport. These garages are secured, have surveillance 24/7 and have toilets. Park & Ride users must continue their journey into the city centre zone of Amsterdam. You can do so by using your own OV-chipkaart (public transport chip card). However, it is also possible to purchase discounted P+R GVB cards from the blue ticket machine at each site (you require 1 card per person and can purchase up to 5 cards per car). Please note: the P+R GVB transport cards can only be used for travel on GVB bus, trams or metro services. To be entitled for the special discounted P+R parking rate (€ 1.00 or € 8.00) you must travel into the special city centre zone using your OV-chipkaart or purchased P+R GVB card. Upon return, the P+R payment machines check whether your last check-in on your return trip took place in the city centre zone. You will only be entitled to the discounted P+R parking rate if this is the case! If your last check-in was at a public transport stop outside the city centre zone you will pay the regular parking rate. This ranges from €1.40 to €3.50 per hour. Click here to download a PDF map that shows the valid city centre zone. (stops within the orange boundary are valid). This location is not valid for P+R rates during major events at the ArenA (such as football matches or concerts) and Ziggo Dome (events or concerts). Check a list of event days on the ArenA website and Ziggo Dome website. Open on weekends only (Friday from 18:00 until Monday at 04:00. After 04:00 on Monday, a regular hourly rate applies). Entrance open 07:00 to 22:00 on Saturday & Sunday (exit 24 hours a day). Entrance open 07:00 to midnight (exit 24 hours a day). This location is not valid for P+R rates during event days at Amsterdam RAI. Check a calendar of events on the Amsterdam RAI website. Additionally, the P+R rate here is only valid for a maximum of 24 hours. Of all the 11 million tourists visiting Amsterdam yearly, 6 % of them arrive by touring car. Most of the time, the bus driver can drop off his passengers in front or nearby the hotel or hostel. Although it is not easy, this is only possible on the indicated places. There are several places throughout the city where the bus driver can park his coach during their stay. You have pretty cheap off-site parking nearby the airport. It’s typically 50% cheaper than airport rates and cheaper than the other websites mentioned above. A friend of my told me about renting a parking space from companies or individuals. Don’t know the name anymore but is was something with mobile park or something. Anyway P+R was amazing for me at the Olympic Stadium. With tram 16 is was in 10 minutes on Leidseplein!! Thx for the compliment and for sharing the tip regarding P+R World Fashion Center. Thanx! Very useful info about a cheap way of parking in Amsterdam, we parked our car at the P+R World fashion center, even got a free tram ticket with it at the reception to travel to and from the city centre in just a couple minutes. Great way for low cost parking for the weekend. I would recommend P+R Olympic Stadion as second best 😉 Thanks again guys, great website.